Next to salvation truth, it is vitally important for the believer to know the Bible doctrine of the Church. Following the eclipse of nearly all truth in the Dark Ages, it was given to Martin Luther in the sixteenth century to reinstate the doctrine of salvation through faith alone, and, in the last century, it was given to J.N. Darby of England to reinstate the doctrine of the Church. Protestant theology has concerned itself largely with salvation truth to the neglect of the doctrine of the Church. As used in the New Testament, the word church means a called-out or assembled company of people. It has two distinct applications: (1) In its less important usage it refers to a local gathering of people, not necessarily Christians, who have been called out and assembled in one place (1Co 1:2; Gal 1:2; Phi 1:2. Note, Act 7:38; Act 19:32). (2) In its more important usage it refers to a company of people called out from the old creation into the new, being gathered by the Spirit into one organism or body of which Christ is the Head. This company includes all those, and only those, who have been saved in the period between the day of Pentecost and the return of Christ to receive His own. So, also, there are organized churches in the world with their memberships, but these should not be confused with the one Church of which Christ is the Head and all believers members in particular. There is little said in the Bible regarding the organization of churches, though there is nothing written to oppose it; and, since an organization is not in view, there is nothing written in the Bible as to membership in organized churches. The Bible emphasis is upon the true Church and that membership ¦which is formed by the baptism with the Spirit. The word church is not found in the Old Testament because of the fact that the Church did not then exist, and being a mystery or sacred secret of the New Testament (Eph 3:3-6), it is not even a subject of Old Testament prophecy. Likewise, the word church is used but twice in the four Gospels: once of a local assembly of people (Mat 18:17), and once in a prophecy by Christ of the true Church which was yet to be formed (Mat 16:18). The true Church could not have existed until Christ died; for she must be redeemed by His blood (Eph 5:25-27). The true Church could not have existed until His resurrection; for she partakes of His resurrection life, and she is the harvest of which He, in resurrection, is the "Firstfruits" in the New Creation. The true Church could not have existed until His ascension; for He must first become "head over all things to the church." Likewise, the true Church could not exist until the advent of the Spirit on the day of Pentecost; for she can be formed only by the present ministry of the Spirit in baptizing all members into one body and causing them to drink into one Spirit (1Co 12:14). Therefore we turn to the Epistles for the unfolding of the doctrine of the Church. This revelation was given to the Apostle Paul (Eph 3:3-6), as before stated, and is set forth by him particularly in the Ephesian and Colossian letters. The Bible recognizes three major divisions of the human family in the present dispensation -- the Jew, the Gentile, and the Church of God (1Co 10:32). The Jews, or the Children of Israel, are that nation which sprang from Abraham in the line of Isaac and Jacob, and who according to divine purpose and promise are the chosen earthly people of God. This nation has been miraculously preserved to the present time, and, according to prophecy, will yet be the dominant, glorified people of the earth in the coming kingdom age (Isa 62:1-12). The eternal promises of Jehovah to this people cannot be altered. These promises include a national entity (Jer 31:36), a land (Gen 13:15), a throne (2Sa 7:13), a King (Jer 33:20-21), and a kingdom (2Sa 7:16). In the faithfulness of God, their promises, which are all earthly in character, have been fulfilled to the present hour, and will be fulfilled to all eternity; for each of these covenants is said to be everlasting as to its duration). Four words describe the out-working of the divine purpose in this people -- chosen, scattered, gathered, blessed. It is obvious that they were chosen, and are now scattered among all the nations of the earth. As certainly they will yet be gathered and blessed. The peculiar ministry of this people is stated in Rom 9:4-5. The Gentiles are that vast unnumbered company, excluding the Israelites, who have lived on the earth from Adam until now. Apart from certain individuals, there is no record that during the period from Adam to Christ God sustained any special relation or extended any immediate promises to them. However, the prophecies of the Old Testament predict great earthly blessings to come upon the Gentiles in the yet future kingdom on the earth, and in the present age they partake alike with the Jews in the privileges of the Gospel. 3. The Church of God. It should be noted that by the phrase "the Church" reference is made, not to the membership of the organized churches, but to the whole company of the redeemed who will have been saved in the present age. They are a distinct people (1) because each individual in that company being born again enters the kingdom of God (Joh 3:5), and is destined to be conformed to the image of Christ (Rom 8:29). (2) They are no longer in Adam partaking of the ruin of the old creation (2Co 5:17), but they are in Christ partaking in the New Creation of all that Christ is in His resurrection life and glory (Eph 1:3; Col 2:10). (3) In the sight of God, their nationality is changed; for they have come upon new ground where there is neither Jew nor Gentile, but Christ is all in all (Col 3:11). (4) They are now citizens of Heaven (Phi 3:20; Col 3:3), and all their promises, their possessions, and their positions are heavenly (2Co 5:17-18). By so much this heavenly people are distinguished from all other people of the earth. The respective earthly positions of the Jews and the Gentiles have already been pointed out. To this it should be added that God, during the present age and for the purposes of grace, has placed both Jews and Gentiles upon a common ground (Rom 3:9). They are now said to be "under sin," which means that they are now shut up to salvation by grace alone. At the death of Christ the change in the divine program from the recognition of a favored nation to an appeal to individuals, both Jews and Gentiles alike, was most difficult to be understood by the Jew. He did not understand that his covenants were set aside for a time, but not abrogated. The nation's struggles with this problem are recorded in the Book of Acts. The Jew is unadjusted to this age-program to the present time, and it is predicted of him that he will remain blinded in part until the Church is called out (Rom 11:25), after which the Deliverer will come out of Zion and will turn away ungodliness from Jacob. This, it is stated, is God's covenant with them when He will take away their sins (Rom 11:26-27). Nevertheless, through the preaching of the Gospel, both Jews and Gentiles are now being saved and the Church is being completed. The Apostle directed that the Gospel should first be preached to the Jew (Rom 1:16) and his own ministry was ordered according to this program (Act 17:1-3). As has been suggested, two revelations were given to the Apostle Paul: one, of the Gospel of the grace of God -- probably while in Arabia at the beginning of his ministry (Gal 1:11-12), and the other, of the Church which is the body of Christ -- probably while in prison (Eph 3:3-6). The vital feature of the second revelation was that out of the two sources -- Jews and Gentiles God is now forming one new body (Eph 2:15). This was a mystery, or hitherto unrevealed divine secret. That God had purposes for Israel, or for the Gentiles, was no secret since it is the theme of Old Testament prophecy; but the secret "hid in God" was the making of a new heavenly order of beings from both Jews and Gentiles. The answer to the question, "Could a person be saved and not be a church member?" depends upon the meaning which is given the word church. It is obviously true that a person may be a Christian and not be a member of a local organized church. In fact, all should be saved before they join a church; and, if saved, it is normal for the individual to choose the fellowship of the people of God in one form or another. On the other hand, it is impossible to be saved and not be a member of the Church which is Christ's own body; for a part of the divine work in salvation is the uniting of the saved one to Christ by baptism with the Holy Spirit (1Co 12:13). As used in connection with the work of the Spirit, baptize is a word of discriminating meaning which reaches far beyond the limits of the outward ordinance of water baptism and represents that ministry of the Spirit for the believer which is more far-reaching in its effects than any other divine undertaking in salvation. It is not surprising that Satan has undertaken to distort the plain meaning of the baptism with the Spirit and the divine ministry it represents; for only on the ground of this ministry can we understand the riches of divine grace or enter into the celestial joy, with its impulse to a holy life, which these riches impart. On the earth, the Church is seen to be a pilgrim band of witnesses. They are not of this world even as Christ is not of this world (Joh 17:16), and as the Father has sent the Son into the world, so has the Son sent these witnesses into the world. As to what they really are through riches of grace, "it doth not yet appear" (Col 3:4; 1Jo 3:2). Being the heavenly people, as in contrast to Israel the earthly people, the glory of the Church, as also the realization of her divine purpose, is seen in Heaven where she appears as the Bride of the Lamb, co-reigning with the King, and partaker forever in the glory of the eternal Son of God. 1. a. What is the general meaning of the word church as used in the New Testament? b. What are its two applications? 2. Upon which use of the word church does the Bible emphasis fall? 3. a. What evidence can be given that the church is a New Testament revelation? b. Why could it have not existed before Pentecost? c. In what part of the New Testament is this doctrine set forth? 4. Name the present major three-fold division of the human family. 5. What is Israel's history in four words? 6. Who are the Gentiles and when according to prophecy are they to receive blessing from God? 7. Name four characteristics of all those who form the Church. 8. From what sources is the Church being taken out? 9. What is the new-age condition stated in Rom 3:9? 10. Describe the two revelations given to the Apostle Paul. 11. What answer would you give to the question, Can a person be saved and not belong to the church? 12. 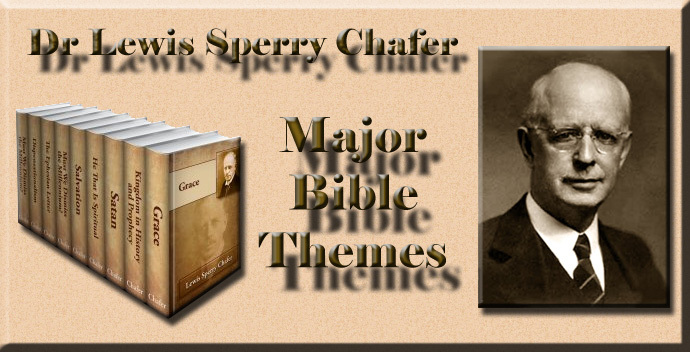 What ministry of the Spirit relates the believer to the true Church which is Christ's Body? 13. What can be said as to the place the true Church now holds on earth? 14. What can be said as to her future place in Heaven?